On how the experience of routines and rituals can lead to something new, both onscreen and off with this compelling narrative debut from the longtime film critic. 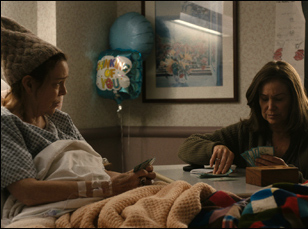 The first sound you hear in “Diane” is that of a heartbeat, though fittingly it isn’t of the title character (Mary Kay Place), but rather the dialysis machine that her cousin Donna (Deidre O’Connell) is hooked up to in the hospital, where writer/director Kent Jones finds the bedridden patient asking her if she’s fine. Diane has reason to be tired, tucking the visit to see Donna into a routine that sees her drive all over a wintry Massachusetts, tending to everyone it seems but herself, dishing out meals to the homeless at the local soup kitchen and attempting to close the gap with her son Brian (Jake Lacy), who always seems at a distance, at first when struggling with addiction and then again once religion becomes his drug of choice. The car is always moving, but Diane seems as if she’s just spinning her wheels, with the occasional margarita with no salt at the neighborhood bar appearing to be her only escape. If Diane is slow to awaken to her life as it is now, surrounded by the slow but steady passing of those around her on the eve of her own twilight years, the same can’t be said of how the filmmaker and star infuse vitality into her quotidian experience, where the gradual breaking away from ritual can be seen in small ways but feel enormous, especially when Jones, a longtime film critic who rose to become director of the New York Film Festival brings the breadth of his knowledge of film history to bear on translating such subtle but stirring emotional currents into cinema, and Place gives one of the most riveting performances in her illustrious career. Inspired by the women in his own life from his aunts to his late mother, “Diane” may be Jones’ narrative feature debut, yet feels thoroughly lived in and warmly familiar, both in the gentle yet persistent way it slips in and out of Diane’s reality and her mind and the decision to surround Place with a murderer’s row of extraordinary actresses from Estelle Parsons as Diane’s mother, Andrea Martin as her confidant and Phyllis Somerville as her aunt. Following a celebrated run on the festival circuit after premiering at last year’s Tribeca Film Festival, Place and Jones were in Los Angeles to talk about their collaboration and how to create the space for surprises on screen. Kent has said that he’s been thinking of you for this part since seeing you in “The Rainmaker,” where you played the grieving mother of a young boy with terminal cancer, and I understand there were five years between you meeting and making the movie, so what the conversations may have been like about this part when you had them? Kent Jones: I humbly approached Kay up in the Berkshires, which is actually where we met because there’s a film festival there. They have people on juries every year — the same people. Mary Kay Place: And we were on the jury for two years before you even mentioned this, right? Mary Kay Place: Shocked. First of all, you pray you’re going to actually like it and it was shocking, but it was a great gift. Kent Jones: I sent her another script that she also liked a lot, just so she could see that I was actually able to write a script. Mary Kay Place: And it was also very eccentric, unusual script, but it was really interesting. Kent Jones: It was unusual. Then at one point Mary Kay wrote to me and said, “Hey, I’m just checking in to see where you’re at.” And that was right after my mother died. And I made a promise to myself that I wouldn’t write back until I had a draft. Mary Kay Place: And I thought, I guess he’s over that idea because I didn’t hear anything for a while. But all of a sudden, the screenplay magically appears in my inbox, and my heart started pounding. And I thought, “oh God, I hope I like this.” And I actually did. I realize Kent is no ordinary first-time filmmaker, but you’ve been so generous over the years to work with so many and bring such instant credibility, is it something you’re comfortable with? Mary Kay Place: I never ever thought of that. I go by instinct. When I’ve had first-time directors — Lisa Krueger, who directed “Manny & Lo” remains a friend. Her brother Tom, who shot it, is a very close friend. And I really liked Lisa, I met her at the Sundance Institute and I just thought she was really smart and interesting. And this story was based on her and her older sister, in large part. Not literally — they didn’t kidnap anybody. [laughs] But it was the relationship, they were on their own, and I knew that it was from her heart and guts, even though there’s a great deal of fiction in there. That usually resonates, when people create and write a story based on part of their own personal history. I could sense that it meant so much to her, so of course I trusted her, I was anxious to do it. And some other people I’ve been in their first movies as a favor because I knew them for some reason, or somebody said, “We’re helping this person.” As I’ve gotten older, my time becomes more crucial to me because I have so little of it, so I make different choices — I don’t do films as favors so much anymore. But I’ve really been lucky to work with a lot of really amazing first-time directors, and it’s usually based on the script. It’s that simple. Certainly if I have a chance to meet them beforehand, I get an instinct. “I’ll See You in My Dreams — that director Brett [Haley], it wasn’t his first time, but he was really great and the screenplay was great, so I can pretty much tell. There’s other first-time directors that have sent me screenplays that I thought were well-written but for one reason or another, the ultimate “what is this movie about” didn’t sync up. There was a horror film that I got not too long ago, that I thought the writer was really talented but his worldview was not the same as mine. It was too dark and there were other circumstances [for why] that didn’t work out, but I thought this guy’s got something. But I’ve been really lucky and Kent was in another league altogether. I just knew [Kent had] been around the world and around this environment, looking through another lens, which didn’t necessarily guarantee we would have this smooth-sailing experience, but I knew that he knew stuff about stuff that I didn’t understand. It was such an odd duck of a film, but from a lot of foreign films and a great history of us having seen all these films, [I knew] he had a vision that I couldn’t be remotely conscious of at this time. Kent Jones: But we made the movie together, right? 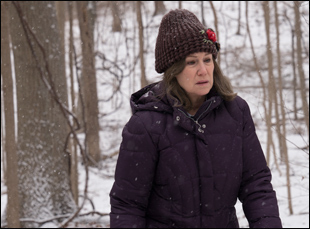 Mary Kay Place: We made the movie together, but the strangeness of the story structure — I knew he had something in mind that I didn’t know about. And I kept trying to tweak something, but at the end, I surrendered because I knew he had a vision for it that I couldn’t imagine yet. At Tribeca, I remember you said that you took the script to a therapist? Kent Jones: Beautifully played by another filmmaker Mattias Pinero. He was very funny, because when I asked him he said, “I don’t know why everybody thinks I can act, but sure of course I’ll do it.” Great. Mary Kay Place: He was so good. In that scene, all I had to do was look in his eyes and I just knew how to be in ecstasy. But anyway, I wanted to know how she interpreted that because she works with dreams and I wanted to see what [the therapist] thought about the unlived life of this woman. She had a lot of really good information for me, which I then researched further, but it helped in my preparation. 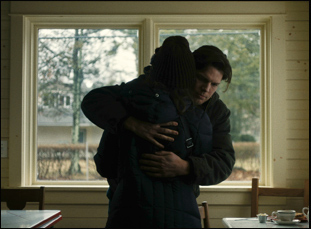 Kent has said that the scenes with Brian, Diane’s son played by Jake Lacy, were the first things he wrote and subsequently, the scenes you started out rehearsing first to find the physicality of the characters. How did that become such a building block? Kent Jones: We tried to rehearse as much as possible within the limited timeframe that we had, you just have to prepare as much as possible and we just worked out ways of doing it. One of the ways we worked out between Mary Kay and Jake was [our] DP [Wyatt Garfield] is very good with dimensions, so we just taped off a room in Lincoln Center. Mary Kay Place: That was mostly a physical blocking exercise. None of the fine tuning of the nuances of the scene, but it was very helpful and I have never done that in my life before. I knew plays did it, but I didn’t know Wyatt knew how to tape a room like an architect. It was unbelievable. Kent Jones: It was really helpful and it was great that Mary Kay got to spend time with Didi O’Connell. We were doing just the bare minimum [in terms of set-up], but [we did it] with a couple of other people just to orient things emotionally, [especially] with Jake. That’s a more involved thing, so it really paid off to be able to have that worked out before we got into the room. Mary Kay Place: But shockingly, things changed as they always do when you do get in the actual space. So we had a little rehearsal, but we always had enough time to actually get the scene. Kent, when it’s something so personal to you, were there moments of excitement when it starts taking a life of its own? Kent Jones: Yes, because the movie has to come alive on its own. I think the illusion that a lot of people have — I probably would’ve had it if I were younger and making a film — would be like “Oh, it has to be exactly the way that it was and we’re gonna recreate it like Visconti.” But of course, even Visconti didn’t do that. It’s one thing to have something specific in mind, but it’s another to want to create something in its image, meaning it has to take a life of its own in order to fulfill what it is you want. With the kitchen scene, for instance, which is the only scene that we shot with two cameras over two days, it had to come alive on its own without it just being an exact duplicate of my memory. Mary Kay Place: There was plenty of room for improvisation, not dialogue-wise, but just the shaping of the scene because it has to have that spontaneity. And there are always happy things that happen that you couldn’t have imagined. Kent Jones: Yeah, it just has to have a limit, and you have to understand precisely what you’re doing and everybody has to be in agreement on precisely what you’re doing. You have to be talking to absolutely everybody and responding. It’s very deceptive when people are on a movie [set] where it’s like “it’s just a great feeling and everyone’s feeling great.” That’s important, but it’s not gonna amount to much if you don’t know [the structure]. 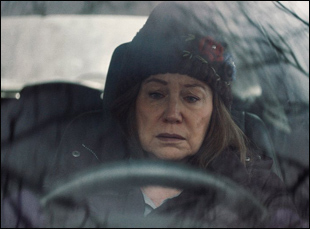 Mary Kay Place: In movies that are improvised to death, there’s no core structure, and it just loses its shape and starts to fall apart at the seams. And it gets boring because it’s hard to cut in and out of, so you need that core structure, and then you can within that have a little flexibility. “Diane” opens on March 29th in Los Angeles at the Nuart and New York at the IFC Center. It is also available on VOD.